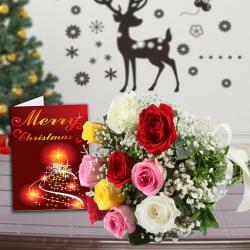 Product Consists : Bouquet of 12 Mix Roses (Red, Pink, Yellow & White) with some green filliers, Celebration Chocolate Box (Weight :118 gms) along with Christmas Greeting Card. Gifting is a tradition on Christmas. People exchange gifts to share the joy of the festival together. 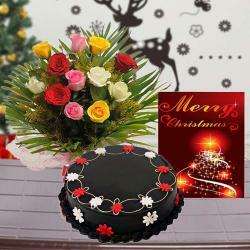 Giftacrossindia.com is offering you this amazing gift combo of chocolate box, flowers bouquet and Christmas greeting Card which is all set to deliver your emotions to the receiver. 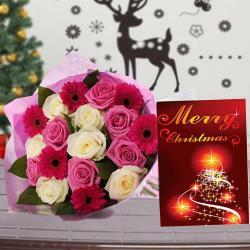 The bouquet of this gift combo is made up of twelve roses of colors red, pink, yellow and white. Rose flowers have different meanings according to their number and color. 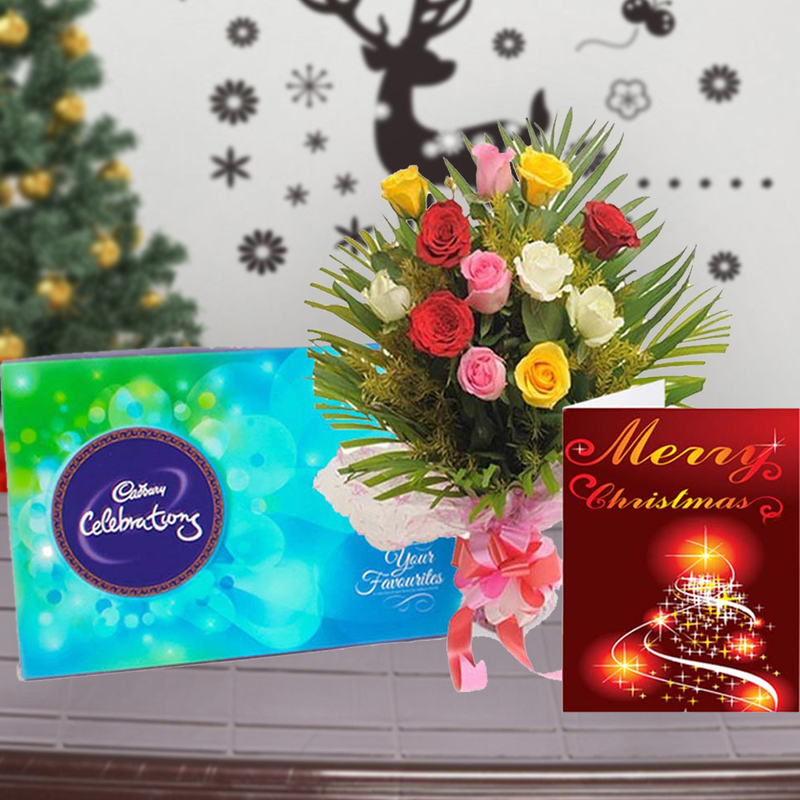 This gift combo also includes one Chocolate Box of Cadbury celebration chocolate and one Christmas greeting Card that look very attractive with its bright colors. Write down your feelings on the greeting Card and then send it to your dear ones and let them feel elated with this adorable gift combo. 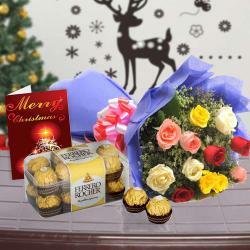 Product Consists : Bouquet of 12 Mix Roses (Red, Pink, Yellow & White) with some green filliers, Celebration Chocolate Box (Weight :118 gms) along with Christmas Greeting Card.